Trust my welding company in Nashville, TN, to fix any broken equipment from the structural work of farm equipment to small items, such as mailboxes. 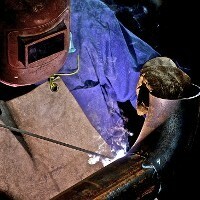 General welding and welding repairs can be done on-site so it is easier for you. Custom iron work can be done for your property, your vehicle, or just as an eye-catching piece of art. It is very important that I know exactly what you are looking for, especially when it comes to custom art. Welding is a great way to not only make a repair to a vehicle but also to tailor the body of your car to your desire. I am able to complete durable bodywork on just about all types of vehicles from big to small. 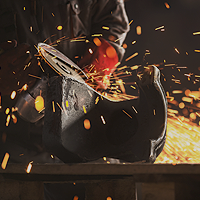 Choose a welder who comes to your location when your heavy duty equipment needs welding. 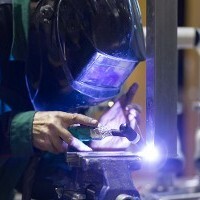 Since I was very young I have been fascinated with metal fabrication. Since the age of 9, I have been working with these materials, creating everything I possibly could while honing the craft. Over the years I worked with a variety of companies which allowed me to learn more and more about the business. Now, I have decided to begin my own business, Metal Head Fabrication & Repairs. My welding company caters to those in Nashville, Tennessee. I invested in a portable welder so I could better assist my customers. Much of the equipment that I work on is heavy duty and hard to transport. By traveling to their location they are able to have their equipment fixed without spending extra money on transporting it themselves. Working with vehicles of all kinds is one of my favorite things to do in this business. The creativity and passion I put into each job is something that my customers respond to. I am thrilled to use my skill set to be able to meet your needs.